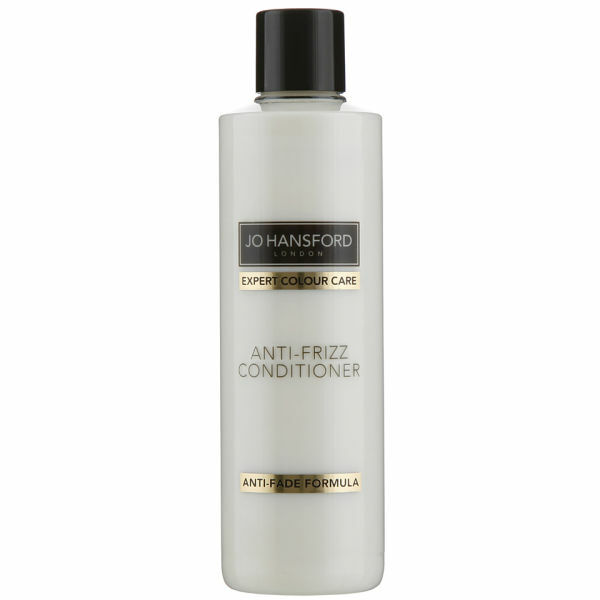 Working to leave you with salon-fresh softness and vibrancy every time you wash, the Expert Colour Care Anti Frizz Shampoo (250ml) and Conditioner (250ml) from Jo Hansford are both infused with a perfect blend of ingredients that make them the ultimate duo for eliminating frizz and dryness in colour treated hair. Both products are completely paraben and sulphate free with the additional benefit of Sweet Blue Lupin Peptides which is one of the only Ecocert natural ingredients to have been scientifically proven to keep hair colour vibrant for up to 30 washes. Containing Quanterium-80 and Conditioning Guar Gum, the duo is perfect for protecting hair against humidity and reducing electrostatic charge. Boasting a blend of specialised ingredients sourced from the Amazon to smooth, soften and nourish the hair whilst providing a deep cleanse, this shampoo works to rid your colour treated hair of any frizz of flyaways. Working to infuse locks with moisture and retain the vibrancy of your colour for longer, this conditioner softens and smooths your colour-treated hair and leaves it with a silky soft and sleek finish.